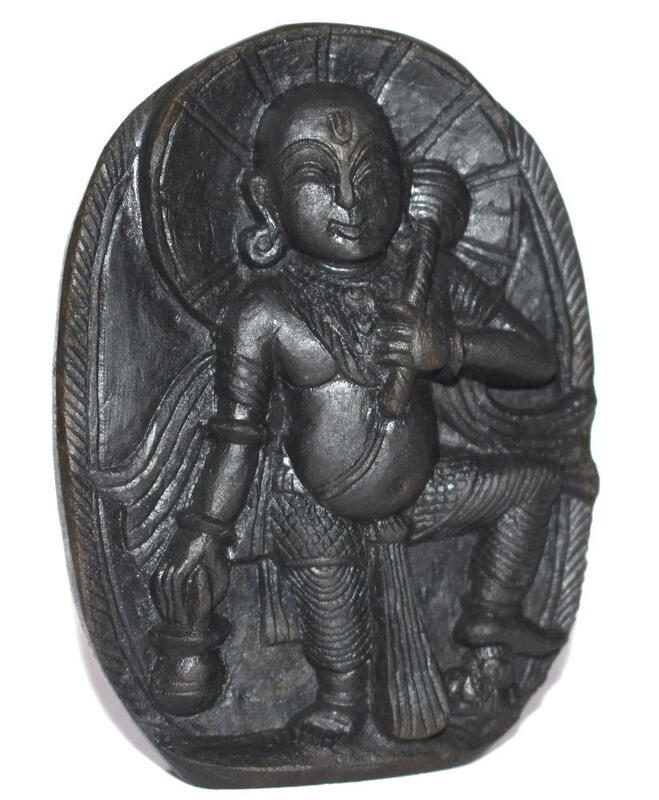 Design : Beautiful Hand Carved Vaman idol carry Mace and Kamandal having Umbrella , with one foot on Bali , on Natural shaligram . Vamana is described in the Puranas as the fifth avatar of Vishnu, and the first incarnation of the Second Age or Treta yuga. He is the first avatar to appear without anthropomorphic features, although he does appear as a dwarf Namboothiri Brahmin. 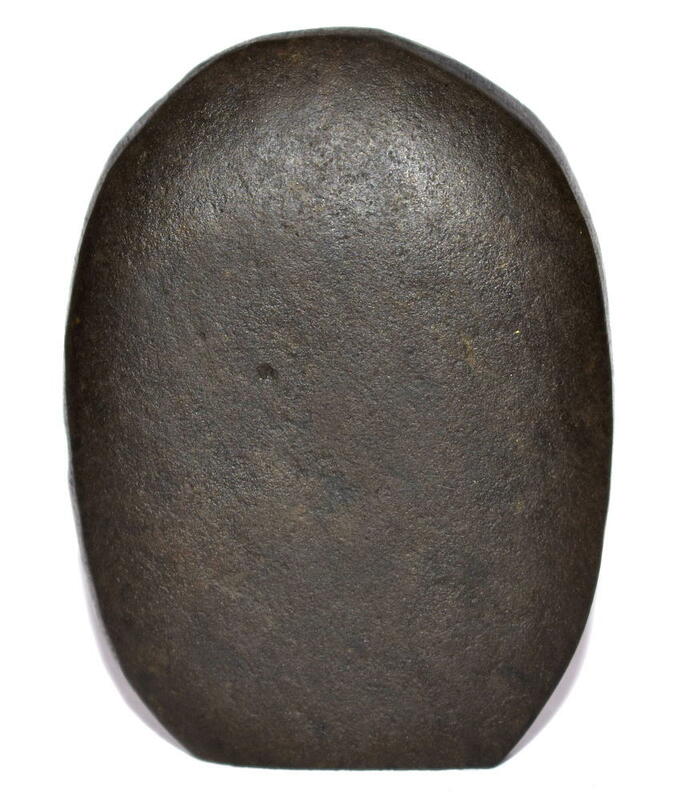 He is also known as Upendra, and Trivikrama. 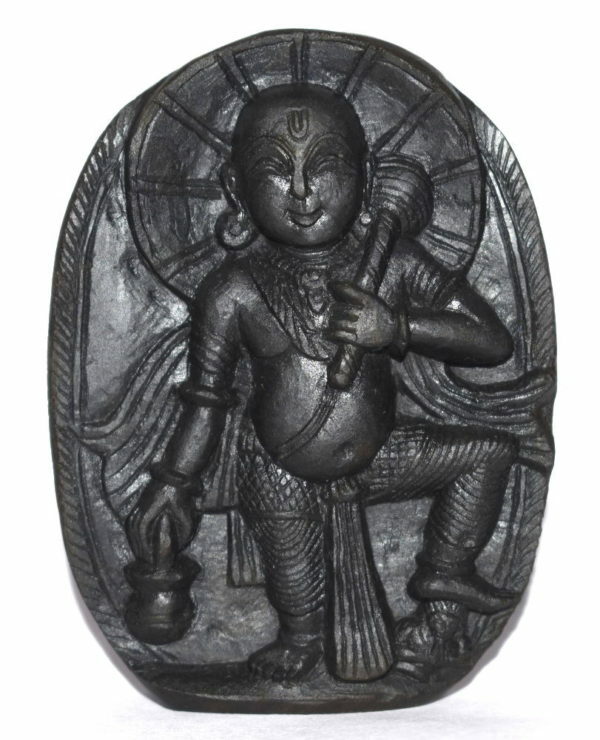 The Bhagavata Purana describes that Vishnu descended as the Vamana avatar to restore the authority of Indra over the heavens, as it had been taken by Mahabali, a benevolent Asura King. 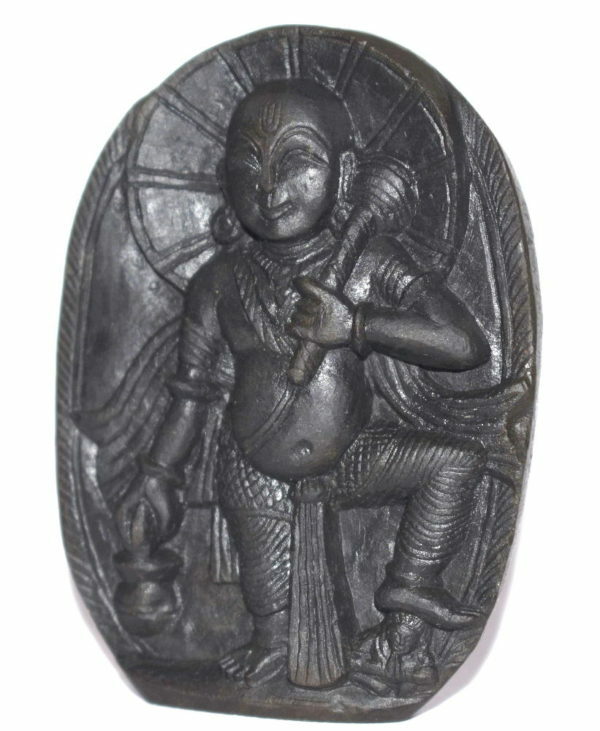 Bali was the grandson of Hiranyakshipu, the son of Prahlada. Vamana taught King Mahabali that pride should be abandoned for advancement in life, and that wealth should be appreciated as it can easily disappear.